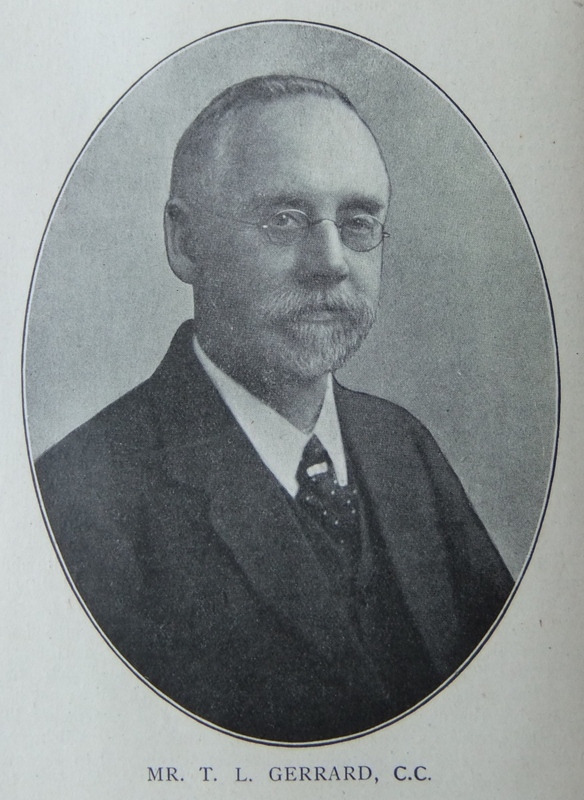 Thomas was born on 15 November 1858 at Swinton, Lancashire, the eldest son of parents Jonathan Gerrard and Jane Lee. Jonathan worked as a carpenter and as a pit sawyer when he first moved to Swinton. Jane continued to work as a cotton weaver after marriage to allow Jonathan a further time of training as a carpenter. Jonathan became firstly a foreman joiner and later a partner in a joiner and builder business. Eventually Jonathan became sole proprietor of a business which became the largest building concern in Manchester. Thomas trained as a joiner and builder and worked in his father’s business. Thomas grew up within the Church. At twenty-two years of age he was a Sunday School teacher, local preacher, choirmaster, and church treasurer. He trained as a local preacher with Mr William Windsor as his mentor. After his father’s death in December 1906, Thomas became a circuit steward, an office he held for twelve years. He was a member of the Manchester Primitive Methodist Council. Thomas also served on the Local Preachers Training Council, was treasurer of Hartley College for many years, was a member of the General Missionary Committee and of the Methodist Union Committee. Thomas was Vice President of Conference in 1922. Mr. Thomas L Gerrard, of Swinton, Manchester, succeeded his father, Mr. Jonathan Gerrard, in the chancellorship of Manchester VIII. Circuit nearly three years ago. The father, who was a man of sterling integrity, held the office for 16 years – that is from the formation of the Circuit to the day of his death. Mr. T.L. Gerrard is more than a mere disburser of circuit accounts. He is a wise administrator of Connexional Law, and helps materially to shape the policy of the Circuit. Connexionally he takes a special interest in the training of local preachers, and acts efficiently as secretary for the Local Preachers’ Training Committee in the Manchester District. He is himself a very acceptable local preacher, and much sought after by contiguous circuits. His recent appointment to the treasurership of our Hartley College points to his rising influence in our Church. May he have many years of health and wide service. Thomas served local charities and Education Committee, the Building Trades Employers Association, and Lancashire County Council. 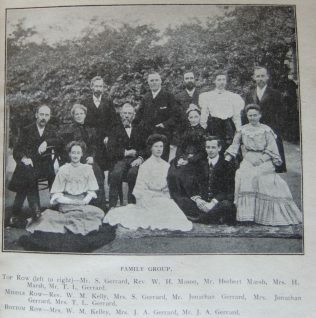 Thomas married Emily Shaw (1864-1939) in the spring of 1885 at Hammersmith, London. Census returns identify five children. 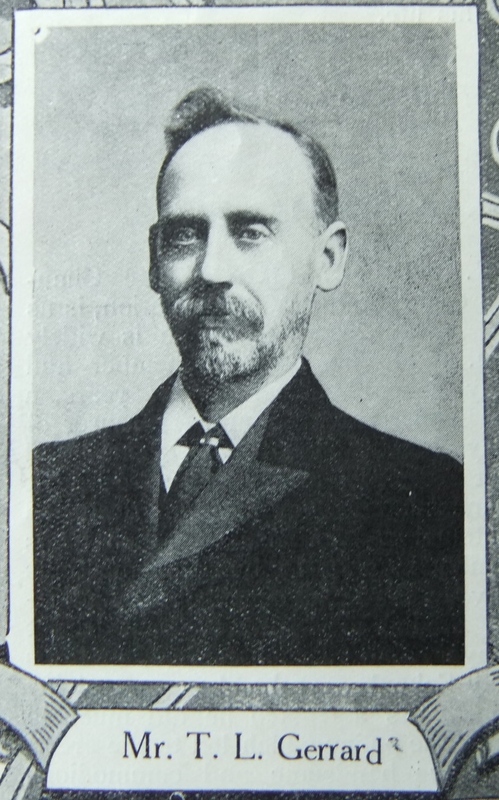 Thomas died on 9 August 1936 at the Hydro Skelmorlie, Ayrshire. Thomas left an estate valued in excess of £41,000.